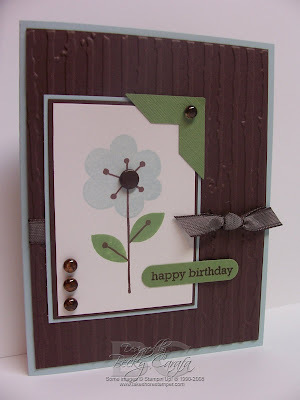 As you can see from my title, today is catch-up day for Featured Stampers. Up first is Lori Tecler, who was featured on the GSG blog last week. I cased this card from her. Next up is Amy Sheffer, another GSGer, who was featured on SCS weeks and weeks ago. I chose this card to case. 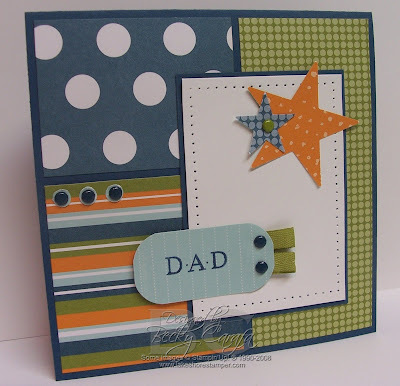 And last but not least is Dawn McVey, yesterday's featured stamper on SCS. I cased this card from her. Dawn is such a sweetie, and has been such an encouragement to me these last few months. I am excited to see where she goes next in the stamping world. Congrats girlie, and enjoy your trip to Europe! All of these cards are uber cute!!! ooh gorgeous cards! wow, i think i need that cb folder...i've been pondering it. tfs! All three of these are super!! I really like the dad card since I always have a tough time with those, love it! okay, Becky. Talk about visual overload! How do you do it?! I love all three-the colors and the elements you used, they all look great together! These are all so much fun, Becky! All three of these are phenomenal!! Love them!! They are all wonderful cards! Great job! These are all fabulous! You're the queen of the perfect finishing touches! These are beautiful, Becky! 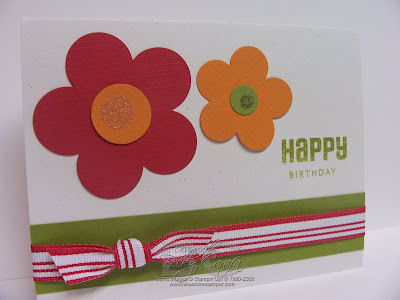 I love the color combo you used on the first card. Love all three cards. Now I NEED that embossing folder on the first card. Thanks for the enabling! !